Behold the action Camps of dreams! Season specific, Pro-D days, Holiday specials, or create your own; there’s a camp waiting for you. Click your nearest location below to discover. AirVenture Camp is about being active, learning skills and having fun. Through a variety of coaching, activities, games and crafts your child will have a day that is both lively and engaging. AirVenture focuses on one or a mix of sport per camp. We offer camps in three age groups; 3-4 y/o, 5-8 y/o, or 8-12y/o. RadVenture Camp is all about becoming a better athlete. The focus is on smaller groups with dedicated coaching throughout the sessions. We offer these camps for age ranges; 5-8 y/o and 8-12y/o’s. The full-day camp is a half day of trampoline training and a half day of another sport. Throughout the day they will have coaching on the Trampolines, partake in activities and play games. It’s a day that is both lively and engaging! AirVenture is all about being active, learning skills and having fun in this awesome Camp. $70 for Single days, $220 for Four Full Days or $275 for Five Full Days! Campers will spend their 5 days on various trails around Kelowna developing freeride skills. This is a sport focused camp whereby there is dedicated coaching, and the focus is on you learning to become an even better athlete. You should be comfortable riding intermediate Mt Bike terrain, defined at ‘Blue’ trails on the TrailForks app. Days run 1pm - 4pm. $255 for Five Half Days! Campers will spend the week playing games, learning warm ups and gaining new skills in Parkour following our Airhouse Academy curriculum. Parkour is about getting from one point to another in a complex environment and without assistive equipment. We focus on teaching tricks and acrobatic skills that can be combined to add complexity and style to the movement. Parkour includes running, climbing, swinging, vaulting, jumping, rolling, crawling and other movements suitable for the situation or obstacle. Days run 9am-12pm and 1pm - 4pm. We have noticed that the girls who come to AirVenture Camps are being outnumbered by the boys. At a very impressionable point in their growth and development, these girls want to do slightly different activities to the boys, which is why we would like to cater to their want and needs with a girls initiative based camp. We'd like to point you in the direction to our main inspiration, the late Sarah Burke - see above. A portion of this Camp’s proceeds will be donated directly to the Sarah Burke Foundation. $350 for the 8 week program. ….are best spent with us! Fill yours with Trampoline and Parkour fun! Upcoming AirVenture dates below, ensure you book a spot before they fill up. This camp is for kids in Grade K - 7. Days run from 9am to 3pm. Priced at $70 for a Single Full day. Mountain Bike Club - Beyond Riding! Join the MTB Club for community and team work, allowing athletes to learn everything that MTB-ing entails. The program will be spread out each week with two 4hr days, allowing athletes to learn everything MTB-ing. You will be covering trail and bike maintenance, trail etiquette and stewardship, cornering, jumping, pumping, and manoeuvring technical terrain. We will develop these skills through our progression based curriculum used in Lessons. The club program caters towards athletes with varying ages and will have level splits for novice/intermediate as well as advanced/expert. FREE Wicked Pass INCLUDED for unlimited use of Airhouse for the 2 summer months! $695 before June 1 or $750 after June 1 for the whole program. Throughout the day they will have coaching on the Trampolines, partake in activities and play games as well arts and crafts. It’s a day that is both lively and engaging! AirVenture is all about being active, learning skills and having fun in this awesome Camp. The Radventure Bike Park camp is a five half day camp. Riders will work on advancing skills in all aspects of the Steve Smith Bike Park. This camp will include both Dirt Jump and Pump Track skills. This camp is for Intermediate to advanced riders. Riders should be able to ride the intermediate dirt jump line and large pump track at speed. Riders are required to bring a full faced helmet, knee pads, elbow pads, spare tube, snack and water. This is a progression based camp where athletes work to gain new skills in Parkour following the Airhouse Academy Curriculum. Campers will spend the week playing games, learning warm ups and gaining new skills. Parkour is about getting from one point to another in a complex environment and without assistive equipment. We focus on teaching tricks and acrobatic skills that can be combined to add complexity and style to the movement. Parkour includes running, climbing, swinging, vaulting, jumping, rolling, crawling and other movements suitable for the situation or obstacle. Days run 9am-12pm and 1pm - 4pm, age dependant. ….are best spent with us! Fill yours with Trampoline and Skateboard fun! This camp is for kids in Grade K - Gr 5 and runs from 9am to 3pm. Priced at $70 for a Single Full day. For Skateboard AirVenture camps, the campers will skate but also use the trampolines. During their day, campers will be coached in their chosen sport, either on the Trampolines or if taking the Skateboard camp then coaching on the mini ramp, as well as skate features. For either Trampoline or Skateboard, campers will partake in activities and play games. It’s a day that is both lively and engaging! AirVenture is all about being active, learning skills and having fun in this awesome Camp. $70 per Full Day, or $275 for Five Full Days! Options for early drop-off and late pick up - AirTime, $8 extra. 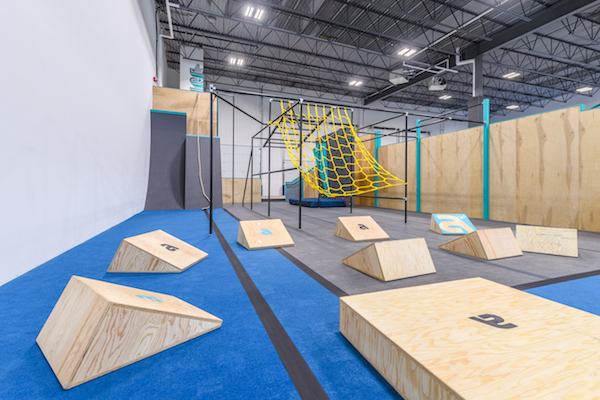 Take flight to another level with one of our world class designed trampoline training programs. $255 for Full Week, Half Days! The goal of this camp is to learn skills in the open Skatepark environment. This camp is Drop Off and Pick Up at the Squamish Skatepark, unless raining where we will be at Airhouse. Focused on improving your child's Skateboarding and Freestyle Trampoline skills, all Campers will mix training in both disciplines while learning new skills that are transferable and help them with progression. For all levels of skateboarders. We will be using the Squamish Skatepark and Airhouse Mini Ramp so our campers will be engaged to learn new skills. Airhouse is our clubhouse where we will spend the afternoons on the tramps developing our skill progression. $500 for Full Week, Half Days! How Squamish can you get! In partnership with Dialed in Cycling & Ground Up Climbing, we present the Try Squamish Camp. We offer a 3 day and 5 day version of this camp where campers rotate between Freestyle Trampoline at Airhouse, Biking through Squamish with Dialed in Cycling and Indoor Rock Climbing with Ground Up Climbing! Sounds like the best combo ever, eh?